Low glycemic index (GI of 55 or less): Most fruits and vegetables, beans, minimally processed grains, pasta, low-fat dairy foods, and nuts. 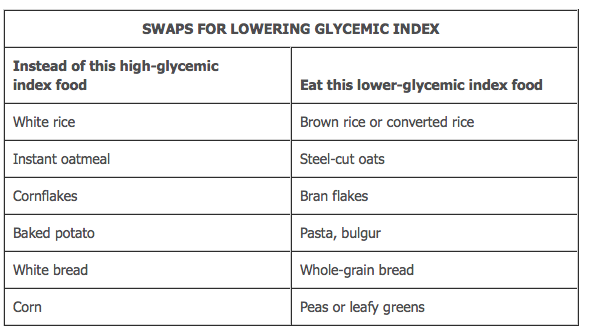 Moderate glycemic index (GI 56 to 69): White and sweet potatoes, corn, white rice,, breakfast cereals such as Cream of Wheat and Mini Wheats. 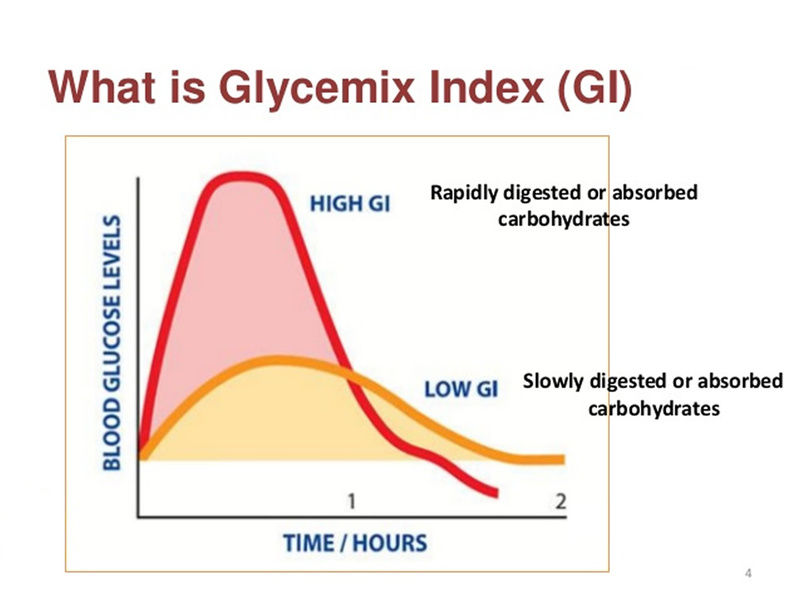 High glycemic index (GI of 70 or higher): White bread, rice cakes, most crackers, bagels, cakes, doughnuts, croissants, fried foods, most packaged breakfast cereals.